The Charlotte Tennis Association ("CTA") was founded in 1991 and is a non-profit organization with 501(c)3 status. The CTA is affiliated with the USTA, the governing body for tennis in the United States. A professional staff based carries out the daily operations but policy is formed and much of the organization's work is executed via a Board of Directors, committees and numerous valuable volunteers. "To promote and develop the growth of tennis in the Greater Charlotte community." 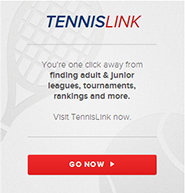 Provide access to a full range of tennis programs and activities, available to people of all ages, abilities and backgrounds throughout the Greater Charlotte area; and create opportunities to enjoy the social, physical and health benefits provided by the sport of tennis.